Kaiser was amazing. Made the strenuous process of purchasing a vehicle seamless from beginning to end. I am beyond happy with my new Q50, but even happier with the service. They also had a great coffee bar for your wait! This was the easiest experience I’ve had in buying/leasing the car. The dealership has lots of great perks and the time if took to sign the lease was under an hour. Everybody was helpful and pleasant to deal with. I’m a happy customer. This dealership is far better than Warren Henry that I’ve been using for years. I am so happy with the service I was provided from this location my vehicle was just like promised and salesman Juan was awesome he explained everything well to me didn’t waste time and just overall very good experience. 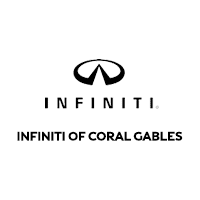 I had a great experience with the infinity the service was great , staff is helpful and I love my new car. I highly recommend this dealership. Start by exploring our online inventory. In our selection of new cars for sale, we offer all of your favorite models, including the Q50, Q60, Q70, Q70L, QX30, QX50, QX60, QX70, and QX80. And don’t forget to explore our INFINITI lease specials. We also pride ourselves on offering a quality selection of used cars for sale in Miami, Florida, including certified used INFINITI cars. You’ll be sure to find your next used INFINITI car or SUV on our lot, from a used INFINITI QX60 to a used INFINITI Q50. After you’ve found the right INFINITI, our team of finance professionals will walk you through our competitive financing rates. Explore our INFINITI finance center now. Whether you’re looking to buy or lease, we can customize a payment plan to meet your needs. For all your maintenance and repair needs, we provide an on-site INFINITI service and parts center. Our qualified service technicians can handle anything from a routine oil change to serious repairs. Browse our service coupons today. Have any questions? Contact us online or call us at (786) 899-5126. We also welcome you to visit our car dealership, serving Coral Gables, Miami, Miami Gardens, Hialeah, Doral, Key Biscayne, Kendall, Hollywood, Fort Lauderdale, and all other areas of South Florida.